United States Military Academy West Point New York. 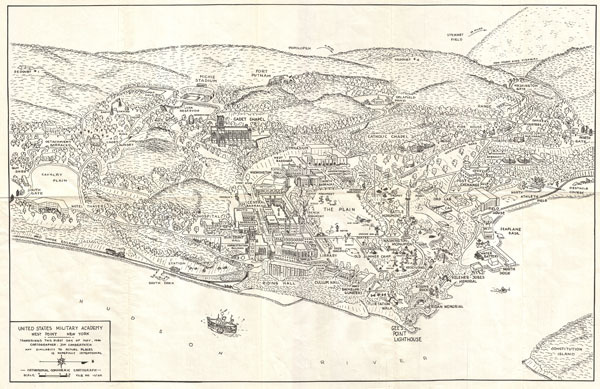 This is an uncommon view or map of the United States Military Academy at West Point, New York. It was drawn in 1944 by Jim Cumberpatch. Identifies various campus buildings and monuments. Also includes part of the Hudson River, the West Shore Railroad, and the surrounding hills. Very good. Original fold lines. Else very clean.